You can follow IBM Bluemix News in various ways. In addition to visiting the website Bluemix.info you can leverage the API to display the same news also on your own websites. In order to work cross domain, the API supports JSONP. 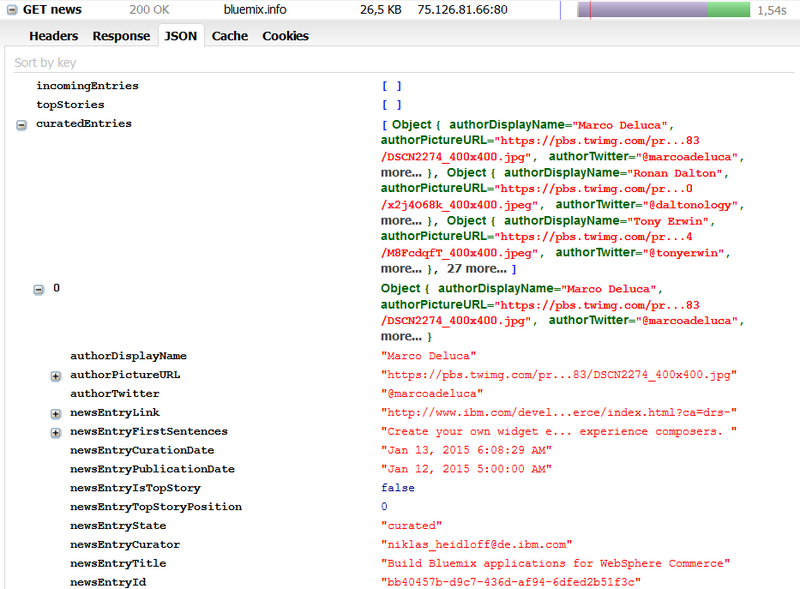 Check out the source of the sample page which invokes the API via jQuery. Furthermore you can subscribe to the Bluemix.info feed. There is also functionality to automatically tweet curated news (source code). We have currently disabled this part but would like to use the @IBMBluemix account at some point.